Home Opinion Are Ram 1500 Pickups Reliable? We take a closer look at the 2002-2019 Ram 1500 pickups to see what the top consumer sites have to say about their reliability. 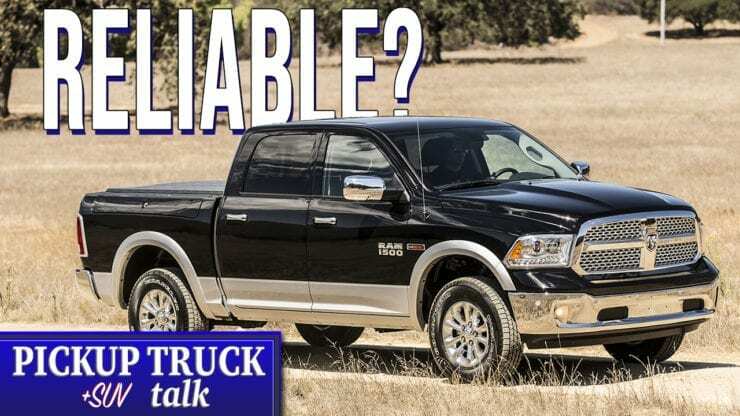 Are there issues with the Ram half-ton pickups you should know? 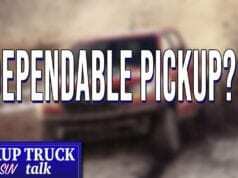 Is it a pickup you should avoid? We dive deep to learn more. Ram pickups, or Dodge Ram pickups or simply Dodges depending on your view, have taken off in sales over the past decade with more pickups buyers gravitating to their styling, engines and features. However, a reputation for poor reliability continues to plague the brand. We took a look at a few key consumer reliability sites to see if reliability has improved. The first site we visited was Carcomplaints.com. 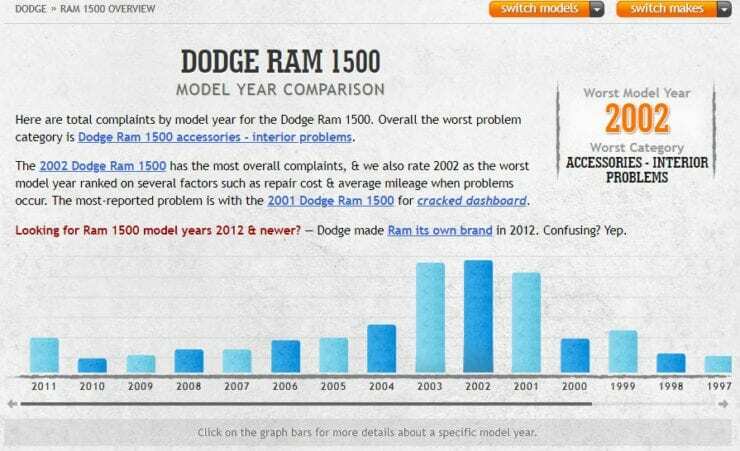 This is a great site to get a quick sense of the various problems that may be affecting your vehicle of choice. On this site, you can see past history separated out by year as well as all the recall and technical service bulletin (TSB) repairs Ram has requested to their pickups. You can also search for problems owners have been reporting. For example, the 2002-2004 model year pickups had problems with the dash cracking. On newer model year pickups, we can see the 2012-2014 years are showing some issues mostly related to a new 8-speed ZF transmission Ram replaced their old transmissions with during those years. This new transmission has had its share of “growing pains” and it looks like many of the issues are just software related. Another great area to look for information Ram truck reliability is Consumer Reports. This non-profit group buys, tests and surveys its owners to determine what vehicles are the best. Each year, Consumer Reports gives out its list of the most reliable vehicles with additional information available for its paying members. 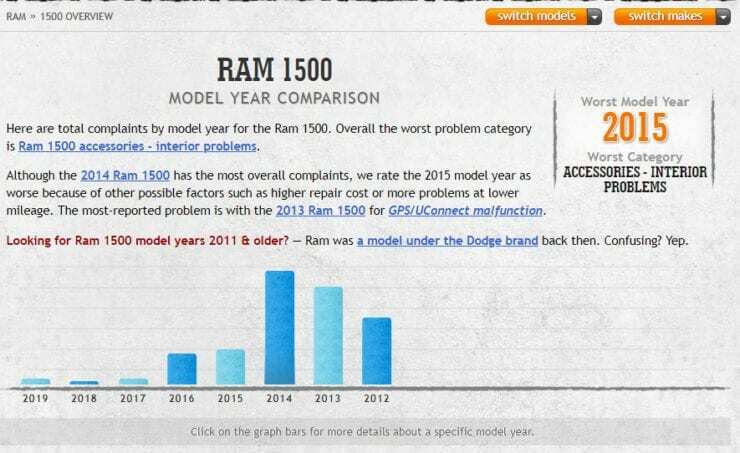 Consumer Reports reported 2017 was the best year for the Ram 1500 with the 2014-2015 years as their worst. More detailed information is available for paying members on ConsumerReports.org. Finally, J.D. Power rounds out the list of the top places to look for reliability information. Each year, J.D. Power sends out surveys to collect information on reliability. It then analyzes the data and gives out awards. They sell the information to the public and companies looking for information on reliability. Unfortunately for Ram pickup fans, the truck hasn’t done particularly well on the J.D. 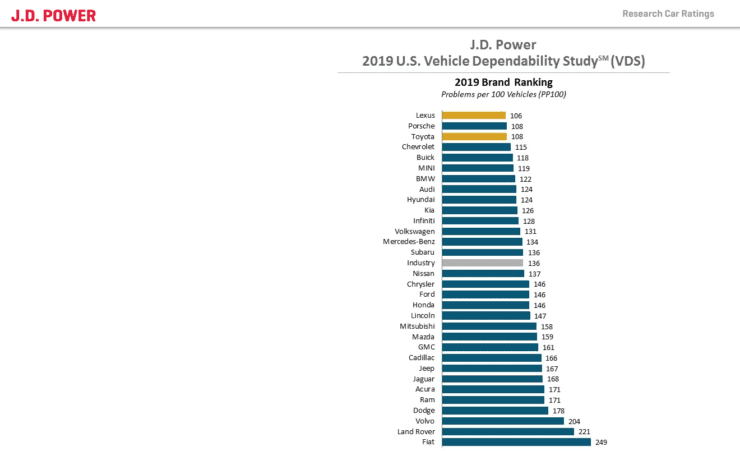 Power vehicle dependability studies and the brand has been below the industry average for many years including in 2019. In the end, you can still buy a lemon vehicle from any brand. While Ram pickups haven’t done particularly well on many reliability surveys, compared to their competiton, they still have a big following and many consumers are taking notice on their new looks and features. What do you think? Have you had good luck with Ram pickups?